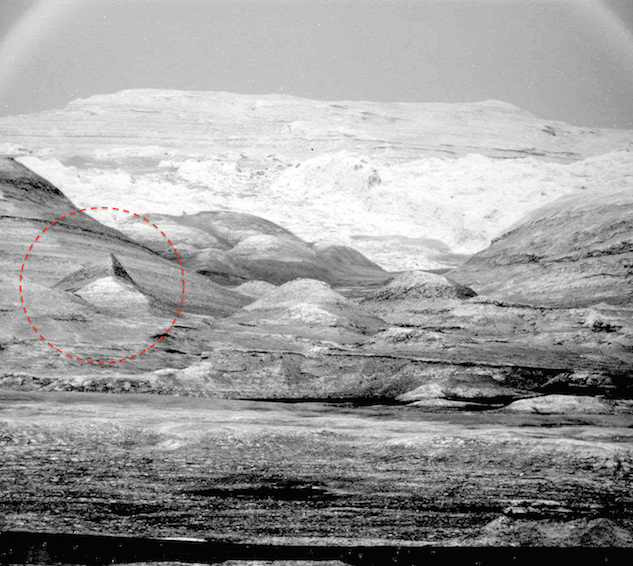 UFO SIGHTINGS DAILY: 75 Meter Tall Pyramid Found On Mars Hillside, Sept 16, 2015, UFO Sighting News. 75 Meter Tall Pyramid Found On Mars Hillside, Sept 16, 2015, UFO Sighting News. While looking through the Mars Mobile site, I caught a glimpse of some thumbnail photos that appeared to show the full view of the mountains. 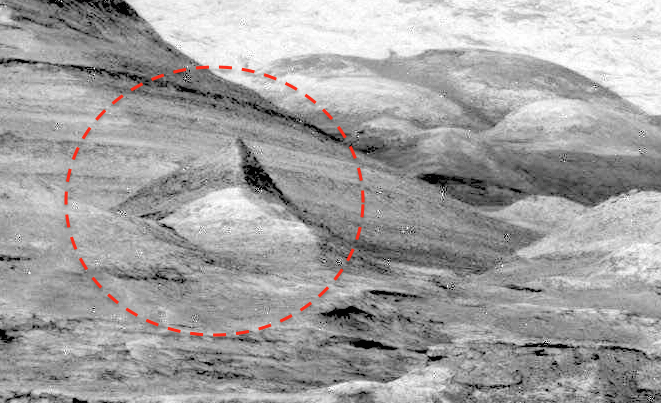 Its a rare thing to get from NASA so I clicked on it and instantly saw this pyramid nestled into the hillside. The pyramid looks to be about 1.5km away. That would make the visible part of the pyramid 75-100 meters high. Still small for a pyramid, but its edges do not lie. Part of its corner is under the dirt, but most of this structure is visible. It also looks like two or there other structures to the right that are totally under the dirt.